So, after missing out on the NES Mini, I was able to snag a SNES Mini over the weekend. 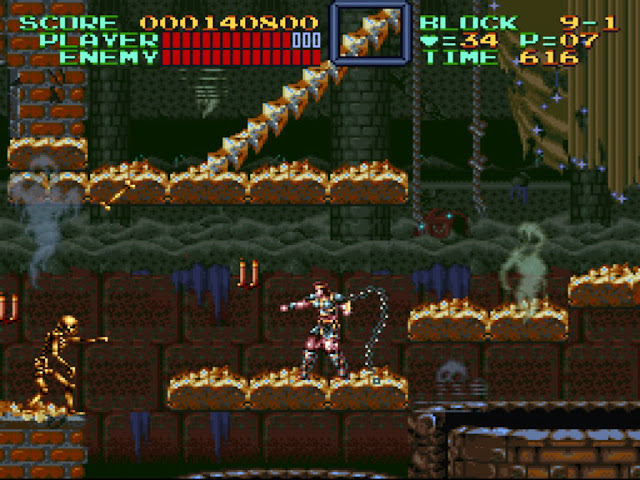 It has actually helped my get through my post-Japan blues (last year, I was downright miserable for a month after getting home), and I spent most of my weekend reliving classic games from my childhood. With that being said, I’ve got to say, I'm pretty disappointed with Nintendo over this console. It's far too exploitative for its own good. It's not a bad device at all. I really have to emphasise this. In fact, I see myself playing with it quite a lot, over the next few years, whenever I'm in a nostalgic mood. And it’s a remarkably beautiful little device. As a piece of hardware, the Super Nintendo tugs on the nostalgia in every way imaginable, and micro-sizing that box for the Mini edition only manages to further emphasise how great the design of the console was. It helps that unlike my actual Super Nintendo, this one hasn’t yellowed yet to the point that it resembles a chain-smoker's teeth. I wonder if Nintendo has designed the console so that it does yellow, just to keep the nostalgia going for years into the future. I hope not, but either way, the gray that my console is currently is glorious. Plugging the console in and getting it going is a five-second effort, and once you’re up and running you’re taken to the main menu almost immediately. I got home from Japan over the weekend, and on turning my PlayStation 4 on I discovered there were 16 games that needed updating, as well as a system update. Knowing that gigabytes of data installs will never be something I need to queue up with with the SNES Mini is both quaint and delightful. A throwback to a bygone era when you'd be playing a game the second you got it home. There were also no loading times on selecting a game and actually getting into the game. Remember a time when games didn’t have loading times? Though the UI and menu is fairly bare-bones, there are a couple of nice features that help enhance the SNES game experience. For one thing you’re able to create suspend saves for any of the 21 games on the console; meaning that if you’re in the middle of a game that has save points, and need to quickly step away from the console, you don’t need to lose that progress. In an era where we expect to be able to save our games anywhere, at any time, that’s a useful feature. You’ve also got the option of replicating the old CRT monitor scan lines and the like if you want, or enjoying the games on a modern, crisp display in all their pixel beauty. So on those accounts I was really happy with the SNES Mini. I’m also happy with the game selection, in terms of what's there. There are timeless classics in there that were always going to be mandatory – Super Mario World, Yoshi’s Island, The Legend of Zelda: A Link to the Past and Super Metroid. Games that I'm not sure I'll ever actually play again, but can appreciate that there if I ever do feel the need to play some of the finest examples of their respective genres. 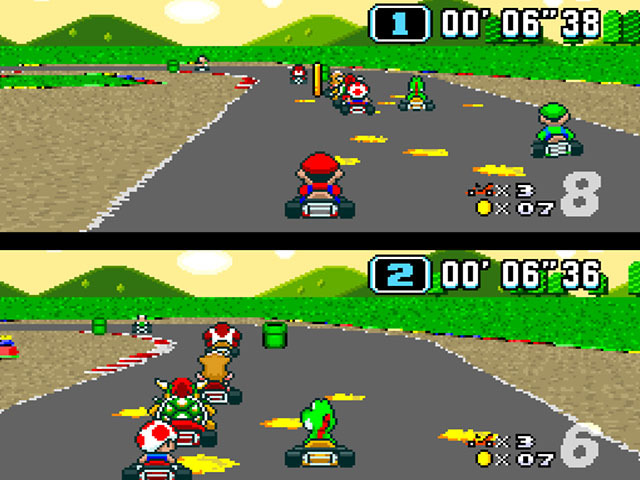 Then there are a bunch of games that I’ll never actually tire of – Final Fantasy VI, Secret of Mana, Super Mario Kart. These games I'll be more than happy to play over and over again. Final Fantasy VI, in particular, is remarkably hard to find a good version of that doesn't have butchered art (PC, iPad), or unforgivable loading times (PlayStation). 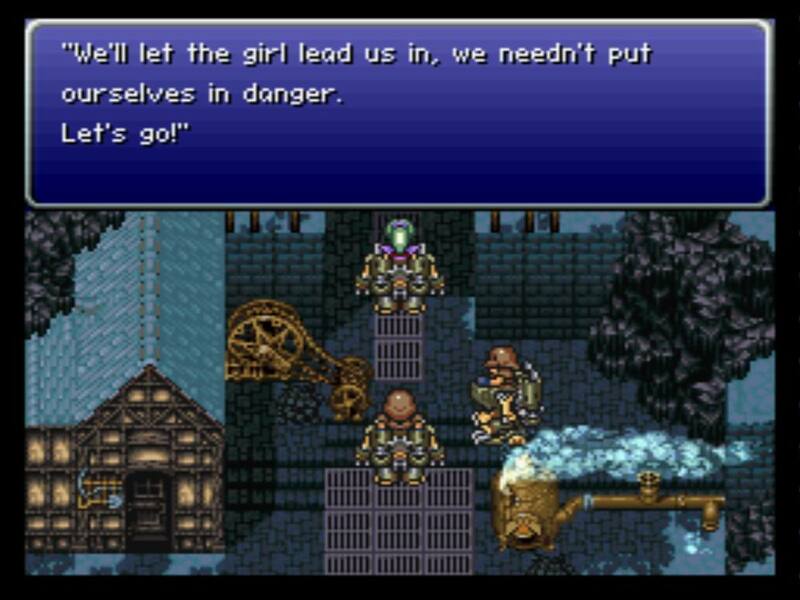 This is the original, and literally still the best, some weird translations aside. And, of course, there’s the console’s big bonus – the previously un-released Star Fox 2. So my issue with the SNES Mini's line-up isn't the quality of what's on there. It's the quantity that's the problem. There are significant omissions from the lineup. Before you even start to consider the more niche titles that should still be there to celebrate the range and depth of the SNES library, like Ogre Battle, Harvest Moon and Flashback, where the heck are the other real classics that are essential, such as Pilot Wings, Chrono Trigger and Sim City? After a solid day or two of playing through what's on the SNES Mini, 20 titles actually starts to feel pretty thin, particularly when anyone who has a 3DS or Wii U actually has access to more Super Nintendo games than this. And particularly when anyone who remembers the Wii eShop remembers having access to dozens more SNES titles than this. Which brings me to the biggest problem with the SNES Mini; there’s no way to add games to it. This console doesn’t connect to the Internet, and unlike some of its other decidedly retro features, that’s neither cute nor quaint. That’s downright claustrophobic in its restrictiveness. Every modern device under the TV connects to the Internet, and does so for good reason; people can derive more value from their hardware then. It would have been easy for Nintendo to set up an “eShop” for the SNES Mini, and give owners the ability to purchase other SNES games down the track. But Nintendo didn’t do that, and the reason seems simple enough; Nintendo wants people to be buying Virtual Console games on the Switch down the track when it starts to release SNES games there too. Which means that this box, cute and nostalgic as it is, is a highly cynical play by the company to goad some extra money out of the most faithful consumers, knowing full well they can simply sell SNES games to them on the Switch later. to put it another way, the SNES Mini can’t become the central retro box for reliving your love of the console. You’ll also need the Nintendo Switch for any of the many games that aren’t in the box out of the box. It's also intensely disappointing that Nintendo didn’t see fit to emulate the Super Game Boy on the SNES Mini, either. It’s actually the thing that I use the most on my vanilla SNES, because I actually have a lot of Game Boy cartridges. 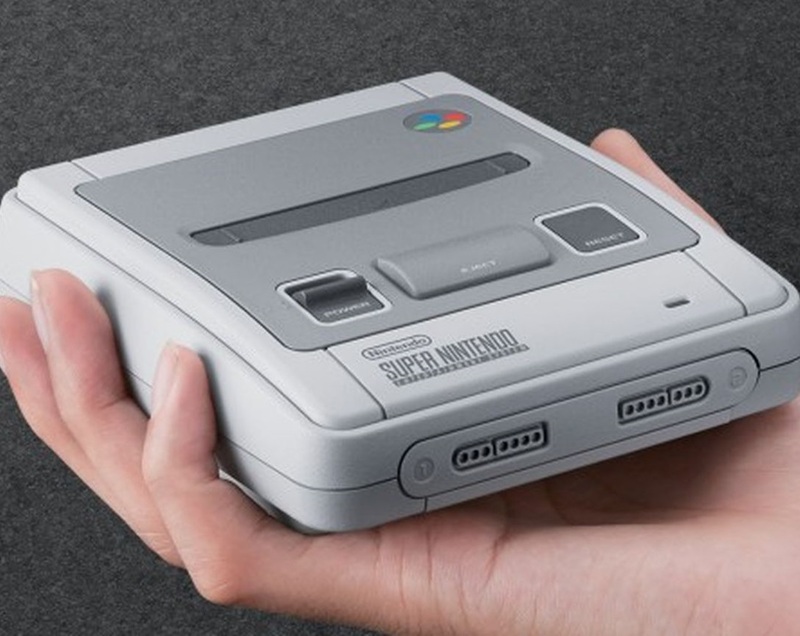 The way that the SNES Mini has been shrunk down is such that the game cartridge on the top of the console, which was once where you’d slot your games in, but is now a purely superficial design element, is about the right size for a Game Boy game. I realise that this would be anything but a feature that would get mainstream use, given how few people still have Game Boy games, but it would have been easy for Nintendo to make use of that superficial slot on the top of the SNES Mini to allow us to stick our Game Boy games in and play them as though on a Super Game Boy. As it is, I'm not going to be able to pack my original SNES away now, and given I already have the likes of Super Mario Kart on that, what's the point of playing it on the SNES Mini? Finally, I have some issues with the controllers in the SNES Mini. They feel less robust than the original SNES game controllers, which were incredible in their ability to put up with anything. With these new controllers the buttons feel soft and even a little sticky. Now, they may well end up lasting me decades like the original SNES ones can, but if I was a betting man I’d bet that Nintendo’s gone cheap enough on these controllers that they’ll only last long enough that, once they start dying, the world’s moved on from having any interest in this device at all, so the sudden flood of people unable to play their SNES Minis any longer will not be controversial, because the mainstream gaming market and media simply won't care. The SNES Mini has been a fun way to relive some classics, and let’s face things, I’ll buy as many versions of Super Mario Kart and Final Fantasy VI that Nintendo and Square Enix can pump out. And the device is so tiny that, like the PlayStation TV, I don’t even mind if I don’t end up using it that often; these micro-consoles are there for when I’m in the mood, and not in the way for the rest of the time. But it’s impossible to shake the feeling that this is just such a cynical play by Nintendo to shift a lot of boxes, very quickly, to its most dedicated fans, and get away with doing so by providing the bare minimum of content in return. If Nintendo was serious about this device being a retro gaming console, rather than a curiosity and collectible, it would have, at the least, given the SNES Mini a way of connecting to the Internet in order to buy and download more SNES games beyond the 21 that come in the box.